With The Drover’s Wife back in the public eye, it’s best that we cover the troubled life and work of Australia’s Henry Lawson. Here’s something you might not know about Henry Lawson. His father was a Norwegian miner named Niels Larsen who came to Australia during the 1850s gold rushes. He married Louisa Albury, and when Henry was born in 1867, anglicized his surname. Like many an Australian, Henry Lawson – Australia’s most famous short story writer – was the child of an immigrant. The family lived in the Mudgee district of New South Wales and because his father was often away looking for gold or working on their selection, Henry helped his mother with the family. It was a big burden for a little boy and he became a worrier extraordinaire, especially when his parents separated. In addition, an ear infection contracted when he was only nine resulted in partial deafness. This made him something of a loner his entire life. At 16, Henry moved to Sydney to write. Inspired by his mother’s political fervor, he embraced the concept of an Australian republic. His poem A Song of the Republic was published in The Bulletin in October 1887. It was a rallying cry to unite as Australians and stop identifying as British. I wonder what Lawson would think about the fact that 130 years later, Australians are still no closer to becoming a republic. Lawson became a regular contributor to The Bulletin and some other publications, his main subject the Australian bush. Just as now, most people in Lawson’s time lived in cities and along the coast, but the bush has always had a magnetic hold on our collective imaginations. Lawson captured the hardships of bush life, along with its humor and humanity. Along the way, he promoted a distinctly Australian character. He was arguably the first Australian-born writer to write through Australian eyes. He was sent on assignment to western New South Wales to report on life in the outback; this changed the writer’s life. He was deeply affected by the challenges facing people in the bush. The experience provided plenty of material for his work. He wasn’t all that great with money and even rather foolishly sold his copyright in the two books published 1896 back to his publisher, so his share of sales of his own books was meager. One of his most renowned stories is The Drover’s Wife (1892). A young outback woman is alone with her four small children in a remote hut deep in the bush. Her husband is away herding and she has to do the lot. When a deadly snake slithers under the house, she calmly puts the kids to bed and with her dog sits up all night to keep watch, armed only with a stick. While she waits, running on adrenaline, she recalls other things she’s had to deal with on her own – bushfire, flood, cattle disease, you name it. The snake is ultimately killed and her family is safe again. The Drover’s Wife is a tale of immense hardship sprinkled with humor – the woman laughs at the absurdity of her ragged handkerchief – and pathos. Her son wakes up, sees her tears, recognizes how grueling things are, and promises never to go herding. As a side note, Lawson has been criticized as racist, particularly against Aborigines and the Chinese. We don’t have space to discuss it here except that his prejudices were widely shared by the white population. That doesn’t make it right, of course, but people at the time didn’t or wouldn’t see past the stereotypes. Perhaps another article can take on the vexed question of racism in 19th and early-20th century Australian literature. Lawson’s writing was so successful that he was offered a contract with iconic publisher Angus and Robertson. When the Billy Boils (stories) and In the Days When the World Was Wide (poetry) were published to fine critical reviews in 1896. It was also in 1896 that he married Bertha Bredt. They had two children but Henry’s drinking didn’t make for a happy marriage and they parted ways in 1903. Henry’s drinking – there’s the rub. He wasn’t all that great with money and even rather foolishly sold his copyright in the two books published 1896 back to his publisher, so his share of sales of his own books was meager. His self-esteem took a dive. Combine this with financial pressures and the new stresses of marriage and family and you have a man seeking solace in alcohol. In 1897, Bertha convinced Lawson to move to New Zealand for a time to sober up but it was an isolated life and they returned to Sydney the following year. He also returned to his favorite drinking haunts. At the end of 1898, Lawson went into rehab for the first time, after which he stayed off the grog long enough to complete a second volume of poetry, Verses Popular and Humorous (1900). A short story collection, Over the Sliprails, was also published that year. In 1900, Lawson and his family sailed to England where Henry hoped for wider literary success. Things were looking positive and Joe Wilson and his Mates (1901) and Children of the Bush (1902) were published by Blackwoods. Perhaps things would have continued to improve, but Bertha had a breakdown and Henry went back to the bottle. They left London, returning to Sydney in mid-1902. Only a few months later, already feeling increasingly isolated and under severe pressure to support his family, Lawson made a suicide attempt. Bertha left the marriage. The final decades of Lawson’s life are profoundly sad. His literary output declined and what he did produce wasn’t up to his previous standard. He suffered mental illness, his alcoholism worsened, he was so desperately poor that he lived on the streets for a time, and he served prison terms for not paying child support. 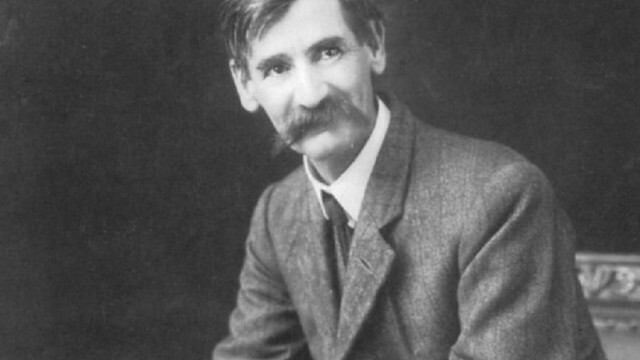 Henry Lawson died of a cerebral hemorrhage on September 2, 1922. He was given a state funeral, this bush raconteur. Of course, Lawson wasn’t the only person who wrote about the Australian bush; Banjo Paterson, Steele Rudd, Barbara Baynton, and others were also doing it, but Lawson’s stories resonated with readers and helped build a sense of an “Australian identity.” Many of his characters are strong in the face of adversity and have tender hearts hiding behind tough exteriors. His tales are perceptive, impart passions, look at dreams and failures; they have an abiding humanity. It is intensely sad to know that Henry Lawson the man quite possibly never truly felt genuine contentment or happiness.